The Department of Visual Arts is saddened to announce the passing of Professor Emeritus Donald Harvey on August 21, 2015. 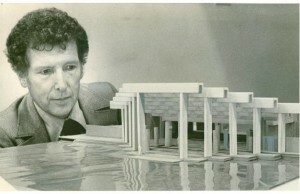 Don Harvey joined the Education department of UVic precursor Victoria College in 1961 and, alongside colleague John Dobereiner, was one of the founding members of the Visual Arts department when it was established in 1966. He was appointed as full professor in 1975 and not only served several terms as chair but also maintained a rigorous schedule of teaching and professional artistic practice throughout his 30-year career at UVic. 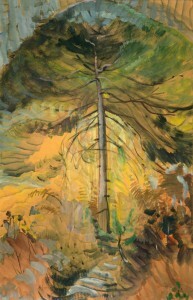 A member of the Royal Canadian Academy of Arts, his paintings, prints, and drawings received significant international recognition, and his work has been exhibited in the National Gallery of Canada, the Art Gallery of Greater Victoria, the Seattle Art Museum and the Musée d’art contemporain de Montréal. 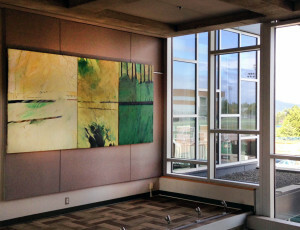 Harvey’s work remains part of UVic’s permanent art collection. Before moving to Victoria, Harvey completed a National Diploma of Painting and Design at West Sussex College of Art in 1950, and an Art Teacher’s Diploma at Brighton College of Art the following year. He was an art instructor in Wales for four years and traveled to Sicily and Spain, where he painted for a year before coming to Canada. Harvey’s work took an environmental angle in the late 1980s, when he joined a host of artists who painted the Stein and Carmanah Valleys and donated the proceeds of their work to the Western Canada Wilderness Committee. 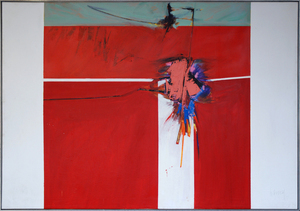 Harvey also painted a large-scale mural The Carmanah Valley Experience—an installation of 31 abstract expressionist painted panels that are five feet high and up to six feet wide—which was exhibited at the Art Gallery of Greater Victoria. “To me, his most poignant pieces are those that he did as part of the protest to save the old growth forest,” says Hughes. 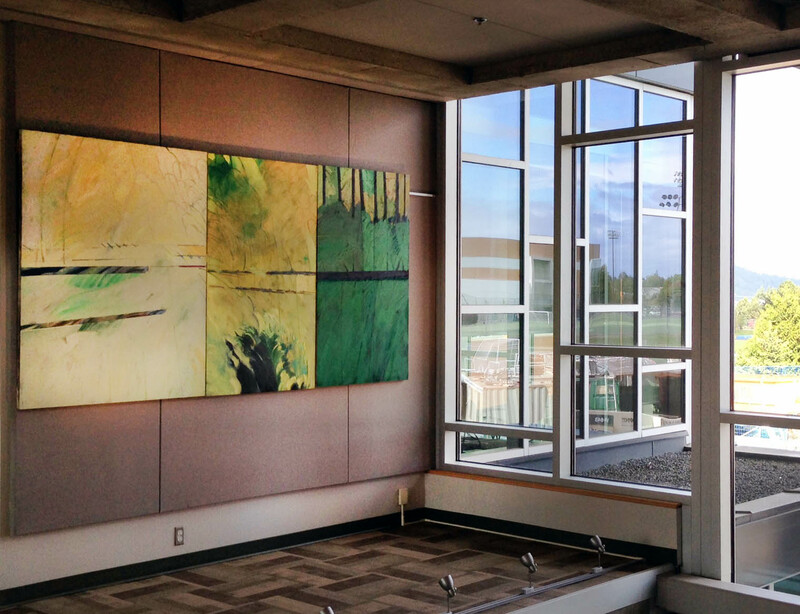 Now part of UVic’s permanent collection, panels from The Carmanah Valley Experience currently grace the lobby of the Administration Services Building. The public memorial for Don Harvey begins at 2:30pm on Saturday, Nov 14 at UVic’s Interfaith Chapel, with a reception to follow at the University Club. Music and well-being are integral in the daily lives of the Quartet—from their own practice and health to the students they teach at UVic and the audience members with whom they share their music. 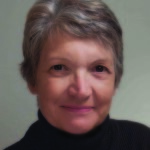 The Quartet quickly became aware of how the health of one person can directly impact the lives of others when LSQ cellist Pamela Highbaugh Aloni was diagnosed and treated for breast cancer in 2001. “I played and played [the cello] during my treatment,” recalls Highbaugh Aloni, who believes that music was an aid in her recovery. 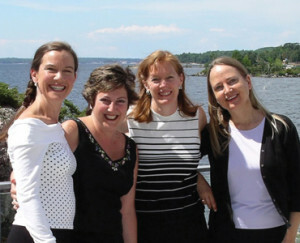 Following that experience, the Quartet wanted to give something back to the community and created the annual Health Awareness Forum to provide expert and updated health information to the public. Since the first forum in 2006, topics have ranged from menopause and aging to mental health and happiness. Many of the guest speakers have been experts from the Victoria area and the Forum always strives to provide the opportunity for specialists, health professionals and the general public to meet and dialogue on important health topics. This year’s guest speakers include Dr. Lee Bartel, Professor of Music at the University of Toronto and acting director of the Music and Health Research Collaboratory; Dr. Johanne Brodeur, head of music therapy at the Victoria Conservatory of Music; and Dr. Brian Christie, director of the Neuroscience Graduate Program at UVic. But if you can’t make the event or tickets have already sold out, you can still click here to listen live. 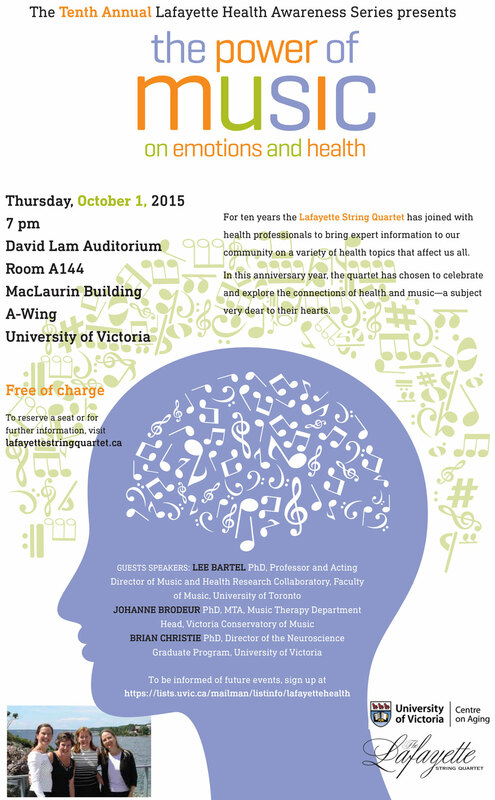 The Lafayette Health Awareness Forum on “The Power of Music on Emotion and Health” runs 7 to 9pm Thursday, October 1, in UVic’s David Lam Auditorium (MacLaurin A-Wing). Admission is free and everyone is welcome. Indeed, as BC’s only stand-alone fine arts faculty, we are ideally suited to kick off Tippett’s exciting new study of some of the province’s most notable artists, playwrights, composers, writers and architects. Please join us in the lobby of the Fine Arts building at 7:30pm Friday, September 25, for a reading and book signing hosted by Acting Dean of Fine Arts Susan Lewis. Books will be available for purchase on a cash-only basis for $28. By examining the careers of eight ground-breaking cultural producers—painters Emily Carr and Bill Reid, architects Frances Rattenbury and Arthur Erickson, writers George Woodcock and Martin Grainger, composer Jean Couthard and playwright George Ryga—Tippett investigates not only how they made an enduring mark on Canadian culture during the 20th century, but also how their work is intimately interwoven with BC’s identity. 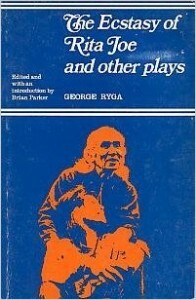 Indeed, many of Tippett’s other books examine similar themes on a national level by focusing on the likes of Group of Seven artist FH Varley, photographer Yousuf Karsh and wide-ranging studies like Canada, Art and Propaganda during the Great War and By a Lady: Celebrating Three Centuries of Art by Canadian Women. Why those eight artists? “Obviously, I could have chosen other artists and cultural motivators—Roderick Haig Brown, Robert Davidson, Jack Shadbolt—but I wanted to focus on people who died before 2000 and were representative of architecture, art, music, theatre and literature,” Tippett explains. While she had already written biographies of two of these figures—1979’s Emily Carr: A Biography and 2004’s Bill Reid: The Making of an Indian—Tippett was excited to discover some of BC’s other notable creators. If you can’t join us at the launch, be sure to pick up a copy of Tippett’s Made in British Columbia: Eight Ways of Making Culture. 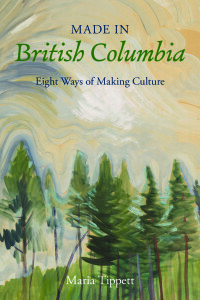 It is guaranteed to change the way you see British Columbia and its culture. When the Victoria Symphony opens its 75th anniversary season on September 21, School of Music professor Christopher Butterfield will be helping them celebrate—courtesy of the world premiere of his latest composition. Simply titled Canter, Butterfield’s piece will be conducted by maestra Tania Miller alongside the likes of Aaron Copland’s Fanfare for the Common Man, Prokofiev’s Piano Concerto No. 3, Wagner’s Ride of the Valkries and Gershwin’s Porgy and Bess, among others. Vaunted company, to be sure, but apt considering Butterfield’s latest was commissioned by the Victoria Symphony itself. Butterfield—a School of Music alumnus himself—has been a professor of composition and theory at UVic since 1992. His music has been performed across Canada and in Europe, is recorded on the CBC and Artifact labels, and he’s no stranger to the Victoria Symphony. From 1999 to 2002, he was their first composer in residence and a number of his compositions have been showcased by the Symphony—including his popular WWII inspired Convoy PQ 17 requiem, which has been remounted a number of times since its 2001 debut. There are a number of decisions that go into creating a commissioned work, Butterfield explains, ranging from the composer’s circumstances and a symphony’s season context, to the size of the orchestra and what else may be on the program the night the piece debuts. The beauty of a commission, he says, is that it provides a composer with an ideal opportunity to play. Butterfield is looking forward to hearing the complete Canter . . . especially now that he can move on to other projects. “It’s funny how eight minutes can absorb weeks and weeks and weeks of work,” he chuckles. 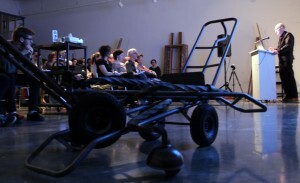 One of the highlights of any Fine Arts semester is the long-running Visiting Artist program in the Department of Visual Arts. Designed to introduce both students and the general public to some of the top artistic talent at work in the visual arts field today, the Visiting Artist program regularly brings in acclaimed national and international artists working in a variety of mediums. For students, it’s integral to engage with contemporary art movements and discover the personalities and work of artists from across Canada and around the world. The Visiting Artist program invites artists, curators, critics and other practicing art professionals to discuss their work and it’s relation to the world of contemporary art. We encourage our students and the greater Victoria arts community to regularly attend this prestigious program. While the program has been running in the department since the late 1970s, recent Visiting Artists have included the likes of Haida artist Michael Nicoll Yahgulaanas, National Gallery curator Josée Drouin-Brisebois, interdisciplinary artist Brendan Fernandes, former Visual Arts professor and haptic sculptor Mowry Baden, collaborative art team Blue Republic, projection artist Daniel Barrow, photographer Jessica Eaton, architect Luigi Ferrara, war artist Andrew Wright, art critic Barry Schwabsky, video artist Diedre Logue, sound artist Marla Hlady, installation artist Kevin Schmidt, Seattle curator and writer Eric Fredericksen, intermedia artist Gary Hill, sculptor Liz Magor, multimedia artist Gary Spearin, painter Melanie Authier, sculptor Michel de Broin, and many, many others. Stillwell notes that the Visiting Artist series helps maintain ties with Victoria’s dynamic arts community, through collaborations and partnerships with the likes of Open Space Arts Society and the Art Gallery of Greater Victoria. “That allow us to bring in higher profile artists,” she says. All Visiting Artist series begin at 8pm on Wednesday evenings in room A162 of the Visual Arts building, unless otherwise noted. And all the lectures are free, of course. Click here to add yourself to the Visiting Artist email list, which will keep you informed of upcoming events. 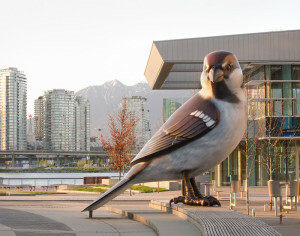 First up this season on September 16 is Vancouver-based sculptor Myfanwy MacLeod. 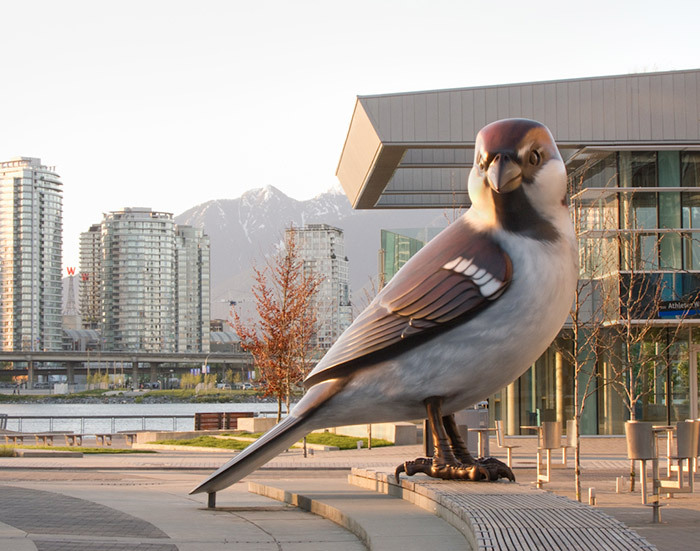 In 2008, she was commissioned to create a permanent public work for Vancouver’s Olympic & Paralympics legacy public art program, and she is currently collaborating on a new public sculpture park for the grounds of the BC Children’s Hospital and BC Women’s Hospital & Health Centre. 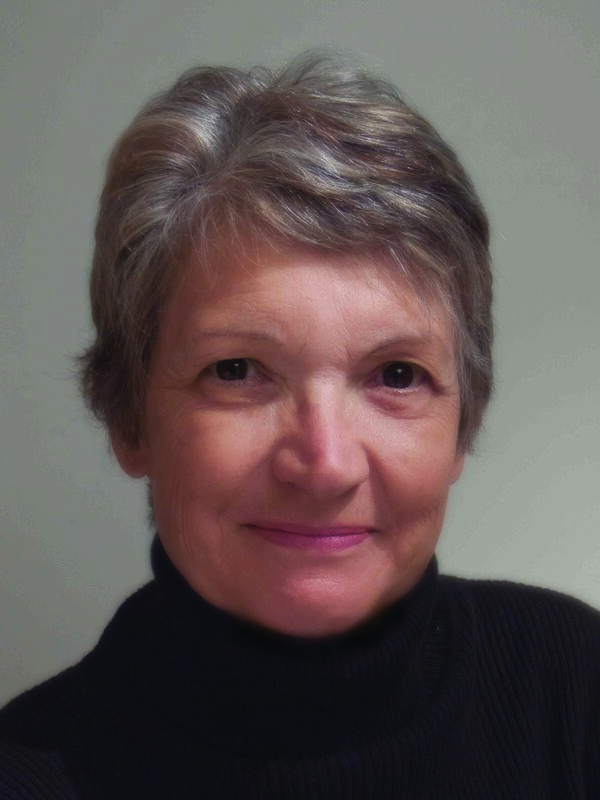 A multiple award-winner, her work has been exhibited throughout Canada, the United States, Australia and Europe and is held in the collections of the National Gallery of Canada, the Vancouver Art Gallery, and in numerous private Canadian collections. pedagogue and director of the San Francisco performance troupe La Pocha Nostra. His artwork has been presented at over 900 venues around the world and his performance work has contributed to debates on cultural and gender diversity, border culture and US/Mexico relations. 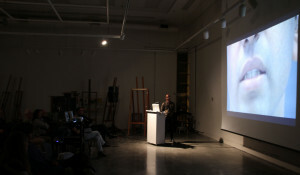 While at UVic, Gómez-­Peña will be presenting a performance lecture titled “Imaginary Activism: The Role of the Artist Beyond the Art World.” His UVic appearance will also correspond with the Stories From the Edge series featuring Peña, James Luna, Saul Garcia Lopez and Amy Malbeuf, organized by downtown’s Open Space Society. 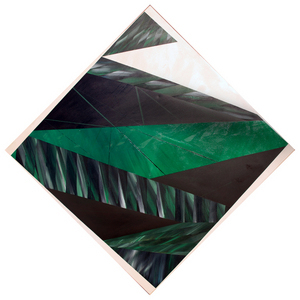 works for the stage and over 40 solo exhibitions, including a recent survey at the National Gallery of Canada. 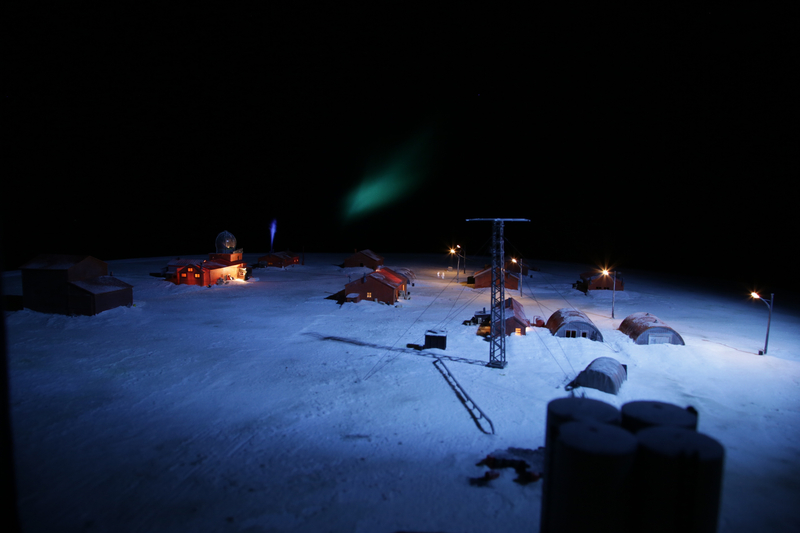 In 2010 his touring five-­year installation series, Scenes from the House Dream, was showcased at Halifax’s Art Gallery of Nova Scotia, and the Museum of Contemporary Canadian Art, Toronto. In 2014 Hoffos completed permanent public sculpture projects in Grande Prairie and Lethbridge. was one of a pioneering group of artists inthe early ’70s to adopt performance, video and photography in order to explore the politics of gender, the body and identity. 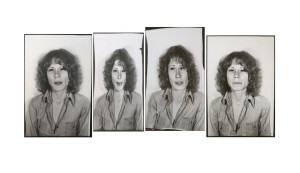 Early examples of her work form part of two touring exhibitions, WACK! 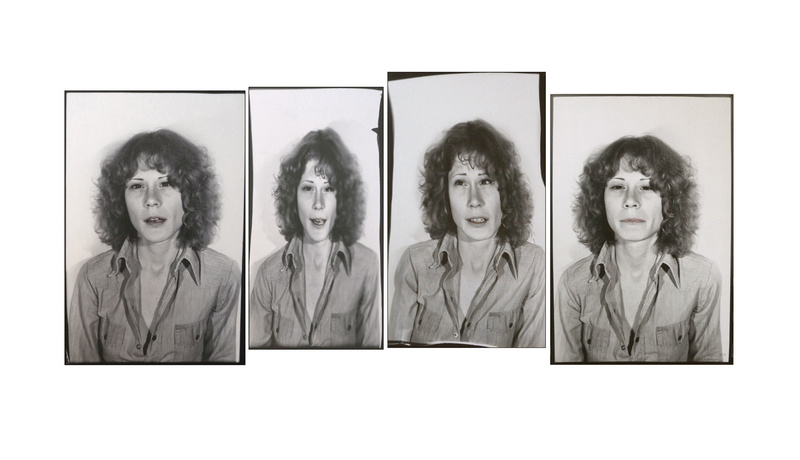 Art and the Feminist Revolution 1965-1980, and Identity Theft: Eleanor Antin, Lynn Hershman, Suzy Lake 1972-­1978. Lake’s work continues to use references to the body as a means to investigate notions of beauty in the context of youth and consumer culture. She has a long exhibition career in Canada, and has also shown her work in Europe, the United States, South America and Asia. 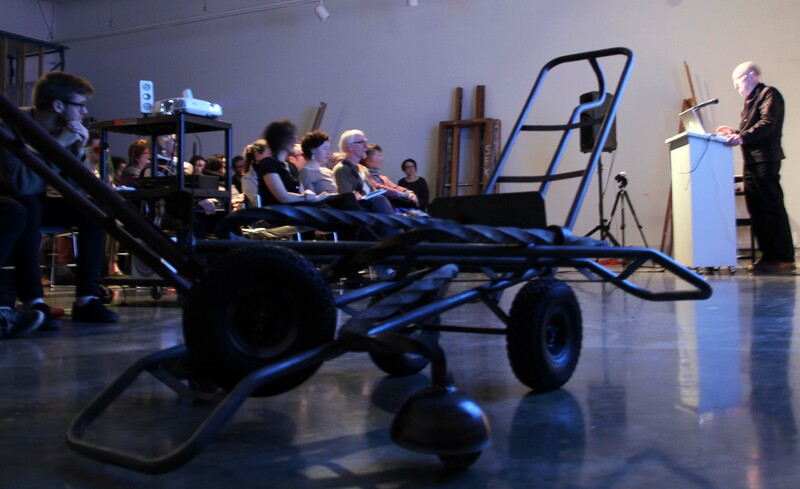 Finally, the fall season wraps up on November 25 with Montreal visual artist Stephen Schofield. 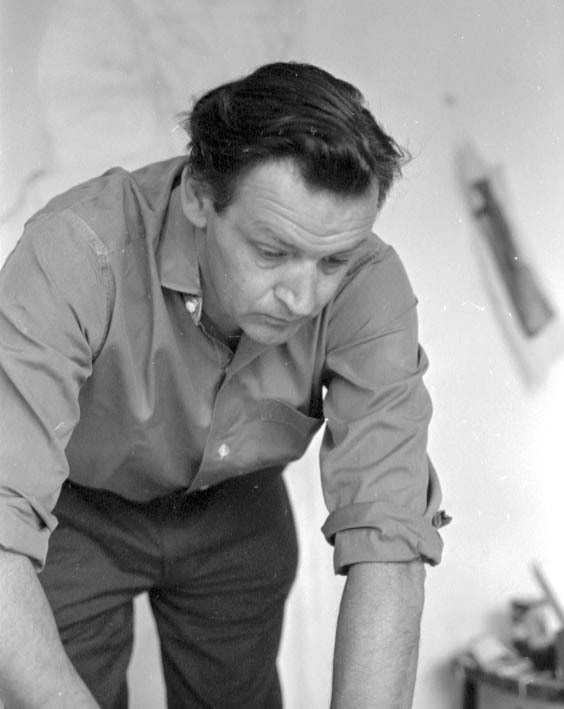 The materials, procedures and subject of his sculpture, drawing and performance practices spring from the laboratories and private spaces of the home: the kitchen, the bathroom and the garden. 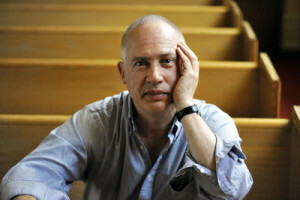 Schofield has presented major ensembles of his work at the Power Plant in Toronto, le Musée d’art contemporain, la Biennale de Montréal, the Musée national des beaux-­‐arts du Québec, the Dalhousie Art Gallery, in France at the CAC de Vassivère, l’Aquarium, and the CREDAC. In 2012, he presented new work at the Cue Foundation, New York and recently won the Public Art competition for the Quartier des spectacles in Montréal. 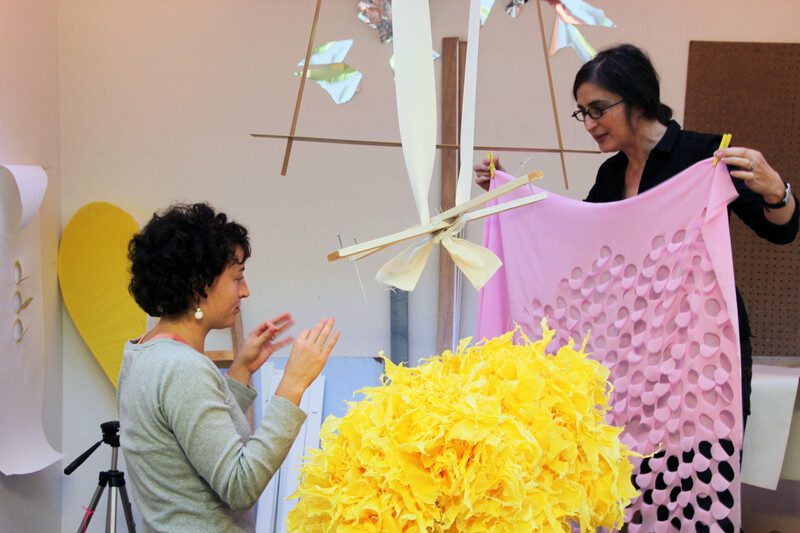 There will be a fresh series of Visiting Artists beginning in January 2016. Be sure to check the Visiting Artist page for updates and new information.